I have never had strategy and talent explained that way. I am a professor at a Business School here in Dubai and I teach strategy. We should put something together. The title of my presentation was Strategy and Talent: The Key to Organizational Success. As an instructor for the Human Capital Institute, our version of Strategic HR centers on that slide. Strategy changes and the talent equation changes. I noticed that when the new CEO of Microsoft, Satya Nadella, came on board, he talked about the redirection of the organization and away from things like MS Office and more towards cloud computing and the mobility market for operating systems. With that statement, the filter of talent changed. Every time the strategic direction changes, it drives a change in your talent equation, especially if the change is disruptive. This is why my message is that HR has now been placed front and center at that intersection. The departments that stop do so because the four corners are too busy to cross without the risk of getting run over. This is probably the most tumultuous time in business since the Industrial Revolution. Change is everywhere, disruptors are everywhere. And, challenges are coming from everywhere, not only competitors but also from new entrants inro the business. A businessman told me the other day that when his company came across this unique opportunity, they lost their momentum because while they were going through their decision process, another competitor swooped in and took the opportunity and moved forward. The most pressing imperative for organizations today is the march towards growth. The biggest challenge in that quest is talent, and more importantly, that the leaders are talent focused. I say “more importantly” because leadership has to develop a talent-centric alignment with their strategic plans. That talent-centric mindset will develop into a laser-focus for your staff — having the right people, in the right place, at the right time. Equally important is that it must be the entire organization acting in harmony to execute strategies for winning results. I would call it the “crew” mindset of organizational focus. The role of organizations today, along with human resources, is trying to put together a master puzzle with the constantly changing landscape, and, understanding that the final picture could change at any given time. The organizations that masters this will surely be in the passing lane headed to the finish line. However that win will only be temporary until the next iteration starts all over again. Think iPhone 6 to 6s, or the evolution of the iPad. It will never stop, because the drumbeat of innovation is a tireless monster and will not stop or abate. It is your organization that has to stay on the treadmill. Our auto industry went through this years ago. The GM and Fords of the world had it all to themselves — and they coasted. But coasting today is a recipe for a massive erosion of market share. The import carmakers came in with new technology and an evolving orthodoxy for building cars. Their leadership questioned quality, innovation and logistics and came away with a totally different concept. They knew that it does not matter if the product is cars, TV’s or furniture. The days of normalcy are a thing of the past. Most companies update their business strategy every year, at the least. 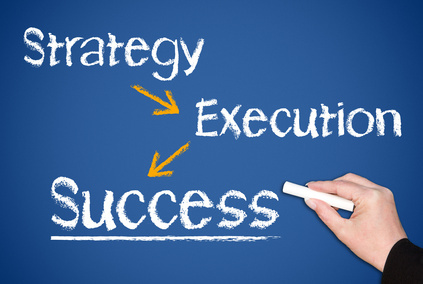 Your talent strategy must evolve along with the business strategy. A consistent and relentless focus on the re-examination of your talent strategy is necessary to ensure its continuous alignment. You must learn and duplicate what works, and bring the tool kit to bear on what did not. Are you and your organization up to the challenge?